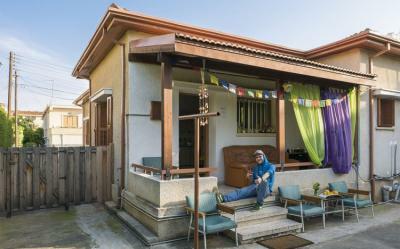 Limassol – Hostels in Limassol. Maps of Limassol, Photos and Reviews for each hostel in Limassol. Looking for a hostel in Limassol? Look no further, all the good deals in Limassol are on Dorms.com. Like thousands of other people every month, book your hostel securely at the best price in all neighbourhoods of Limassol. On this site, you can easily find a hostel downtown, in a trendy neighbourhood; a hostel in the student- university district, close to bus or train stations, airports or major attractions of Limassol. Jedi Garden Hostel has everything you may need nearby. There is a beach in 5 minutes away. Shops and cafes are surrounding the hostel. Hostel has some potential, could use some upgrade on some facilities as it looks outdated. Very cheap hostel but an average experience. The garden looks very nice but in winter there's nowhere to hang out other than the room or the kitchen. Staff were very friendly and helpful. Only one shower and one bathroom for the entire hostel. No cover sheet was provided which made using the smelly duvet on a cold night very uncomfortable. Seemed like there was a shortage of blankets as well. The staff is really nice and the other guests as well. I was a bit concerned about the safety because they didn’t give me a key (or even locked the main door) but it seemed to be fine. 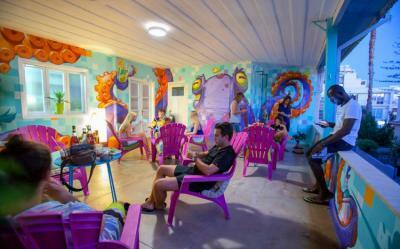 This hostel is a good place to socialize and meet new people ! Biggest problem is that there is only one restroom. WiFi was also unreliable. Beds are also not very comfortable. Kitchen does not have a microwave. But the staff is friendly, it has a good atmosphere, and is almost in sight of the beach.